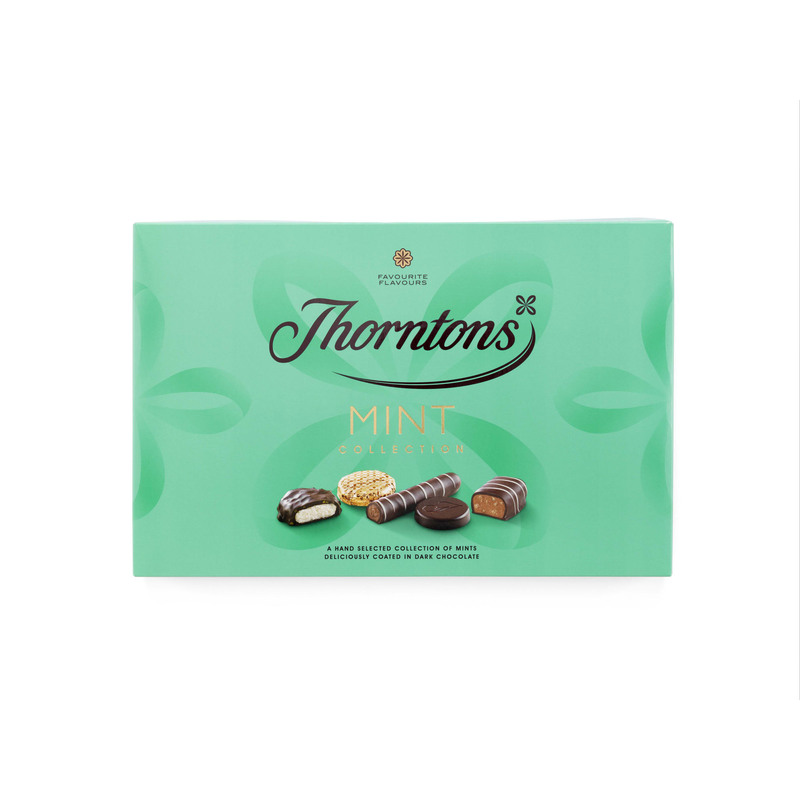 Rich, dark chocolate and mint are perfect partners, and you’ll find five varieties in the Thorntons Mint Collection box. 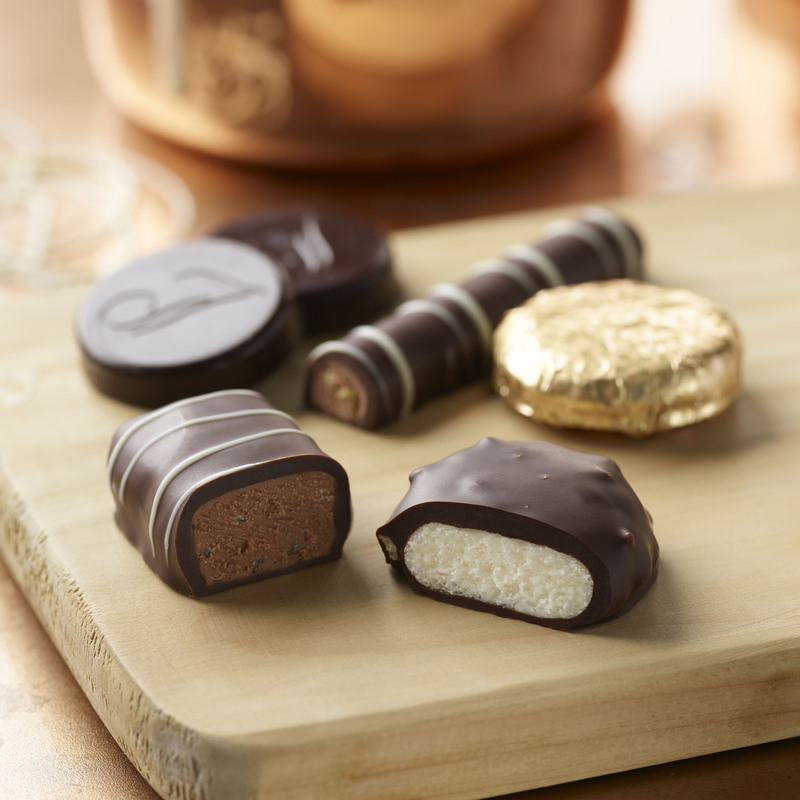 This updated contemporary collection contains a tempting selection for those who love the combination of mint and chocolate, including two foil-wrapped varieties; the cool Peppermint Crème and the creamy Luxury Dinner Mint. 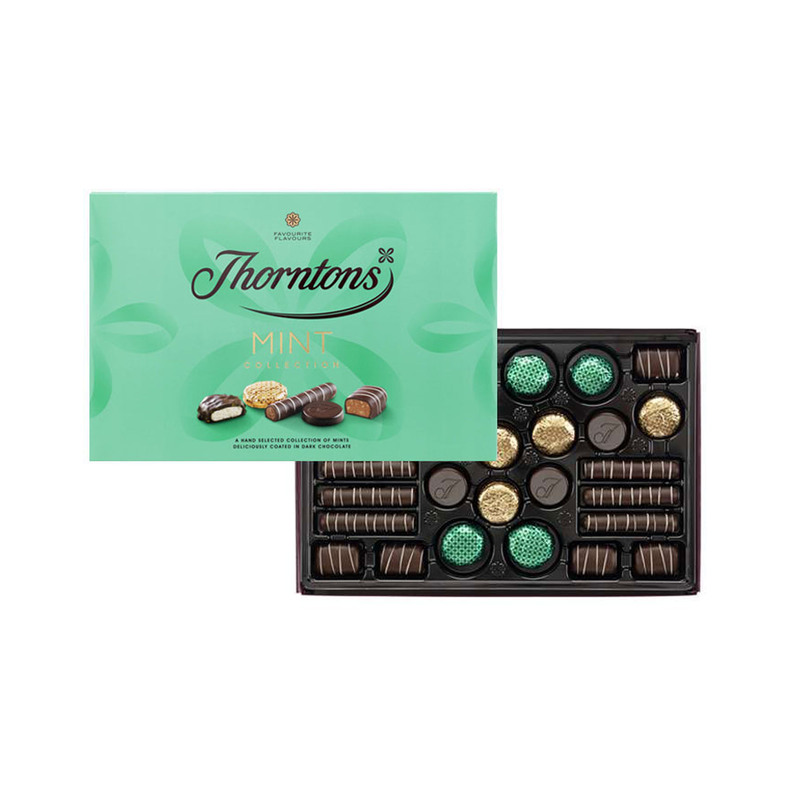 This hand selected collection of 28 of Thorntons best loved mint chocolates is beautifully presented in a single layer box, making it the ideal dinner party gift or treat to share.